 PARENT UNIVERSITY FOR INCLUSIVE EDUCATION. (N. Makaradze, A. Bakuridze, N. Mikeladze). HENTI 2015, Kutaisi, Georgia.EISSN 2346-7851. Website:(http://www.atsu.edu.ge/geo/xarisxi/Henti/HENTI2015).  Das Golden vlies und seine volksmedizin (Heilpflanzen und heilkunde in Georgien).Geest, Vechta. (G.Keloglu, N.Varshanidze, N.Turmanidze, K.Dolidze, D.BaratachviliA.Bakuridze). Printed in Germany. 2013. 601 p.
 Regulation of MicroclonalReproductoin According to the Nutrient Medium Components of in vitro Culture of SenecioPhlathiphiloides. (N.Zarnadze, S.Manjgaladze, C.Bolkvadze, K.Dolidze).International Caucasian forestry Symposium, 24-26 october,2013, Works. Artvin, Curuhuniversity, Turkey.  Study of some biogerontological factors associated with women longevity in ajara population. (Khukhunaishvili R, Nagervadze M, Zosidze N, Koiava T, Parulava I. ).Georgian Med News. 2012 Jul;(208-209):63-6. 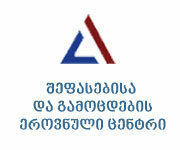  Composition of erythrocytic (ABO, Rh-Hr, Kell, Mn) group antigens characteristic of the population of Guria (by the example of Ozurgeti district’s population). 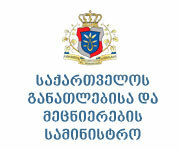 (M. Nagervadze, A. Diasamidze, R. Khukhunaishvili, L. Akhvlediani, G. Dumbadze, S. Tskvitinidze)J. Georgian Medical news. 11 (188) 2010.  About the evolution meaning of mechanisms and poly embryo of a strong spontaneous mutation genesis in citrus. 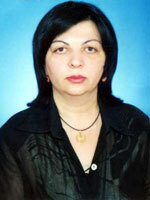 ( Diasamidze A. Dolidze K. Turmanidze N.). International scientific conference “Problems of subtropical agriculture and processing industry” dedicated to 80TH anniversary of foundation the institute. // Subtropikal crops 1-4 (261-264) , 2010. (ISSN 0207 9224).  ცილოვანი მარკერები ციტრუსების ბიომრავალფეროვნების კვლევაში. (რ.ხუხუნაიშვილი). აჭარის (სამხრეთკოლხეთის) ბიომრავალფეროვნება საერთაშორისო კონფერენციის მასალები.აჭარის (სამხრეთკოლხეთის) ბიომრავალფეროვნება საერთაშორისო კონფერენციის მასალები. 2009. გვ.210-214.  სპონტანური მუტაციური პროცესის შესწავლის საკითხები ციტრუსებში.(ა. დიასამიძე, ქ. დოლიძე, ნ. თურმანიძე). საქ. სახ. სას. სამ. უნივ. სამეც. შრომები. 2009. ტ.2 №4 (49). 5გვ. 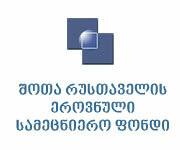  The study of Gerontologic Issues on the Example of Adjara Rregion population. (R. Khukhunaishvili, M. Nagervadze, N. Zosidze). The 5thinternational Symposium on Genetics of Aging. pp. 27-28. 2009. Paris.  The study of Gerontologic Issues on the Example of AdjaraRregion population.(R. Khukhunaishvili, M. Nagervadze, M, Zosidze,I.Charkviani). The Symposium on Genetics of Aging 10-13 October. Tb. ISBN978-9941-13-055-7. 27-28. 2008.  Ist International conference High Education -New Technologies and Innovation.(N. Makaradze, A. Bakuridze, N. Mikeladze). HENTI 2015, Kutaisi, Georgia. 01-02 May,2015.  International Caucasian forestry Symposium - Regulation of MicroclonalReproductoin According to the Nutrient Medium Components of in vitro Culture of SenecioPhlathiphiloides. (N.Zarnadze, S.Manjgaladze, C.Bolkvadze, K.Dolidze). Artvin,Curuhuniversity,Turkey24-26 october, 2013.  მედიკოსთა XXXII საერთაშორისო სკოლა-კონფერენცია - თანამედროვე კლინიკური და ექსპერიმენტული მედიცინის მიღწევები და უახლესი ტექნოლოგიები". 21-28 ივლისი, 2012. თბილისი-ჩაქვი.  1st international Turkey and Japan. Environment and forestry symposium - For studing question of hybridization in plant of tea (Theasinensis L.). (Diasamidze A. K Dolidze, N. Turmanidze). 04-06 November. 2010 (KaradenizTechnical University, Trabzon –Turkey).  International scientific conference “Problems of subtropical agriculture and processing industry - About the evolution meaning of mechanisms and poly embryo of a strong spontaneous mutation genesis in citrus. dedicated to 80TH anniversary of foundation the institute. // Subtropikal crops 1-4 (261-264). ( Diasamidze A. Dolidze K. Turmanidze N.). 2010. (ISSN 0207 9224).  International Conference & Exhibition. “Batumi -Spring -2010” Law Conformity of Spontaneous – Mutational Processes in Subtropic Cultures and its Function in Producing Culti-genic Genofund. (Diasamidze A. Dolidze K.). Batumi,Georgia May 7-9. 2010. RSU.  19thIAGGWORD CONGRESS OF GERONTOLOGY AND GERITRICS - Some Bio-gerontological Peculiarities of Long-livers in Ajara Region of Georgia. (R. Khukhunaishvili, M. Nagervadze, N. Zosidze, N. Jorjoliani).2009. 5-9 July. PARIS.  თბილისის ივანე ჯავახიშვილის სახელწიფო უნივერსიტეტი - ,ტელომერულიჰეტეროქრომა-ტინისდეკონდენსაცია, როგორცათეროსკლეროზისშემაჩერებელი’’ ( Dcondesation of telomerus chromatin, as preventing factor of atherosclerosis) დამხმარე პერსონალი. GNSF N4307(2008-2009). #STCU-GNSF 07/125. ხელშეკრულება#558/07 20.03.2008 წ.  Trainers in Addictology in Hamburg within the project ADDIGE nr. 544219 TEMPUS – 1-2013-1-CZ TEMPUS SMHES (2013 -4566/001-001).30.8.201 to6.9.2015. HAMBURG, GERMANY.  საჯარო სკოლის დირექტორების შეფასების ექსპერტის უნარ-ჩვევები. 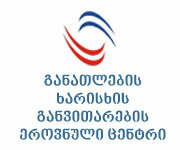 სერტიფიკატი USAID განათლების მართვის პროექტის ფარგლებში. თბილისი. 17-18. 05. 2012.